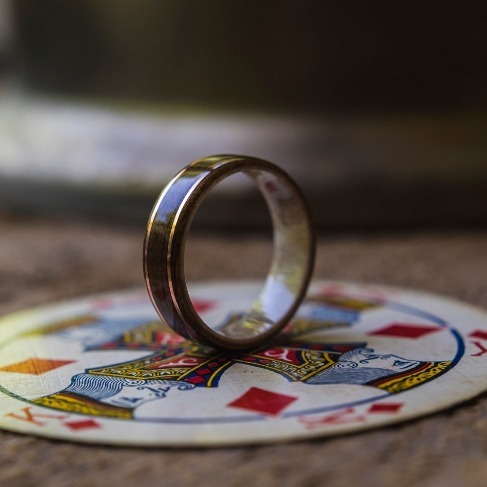 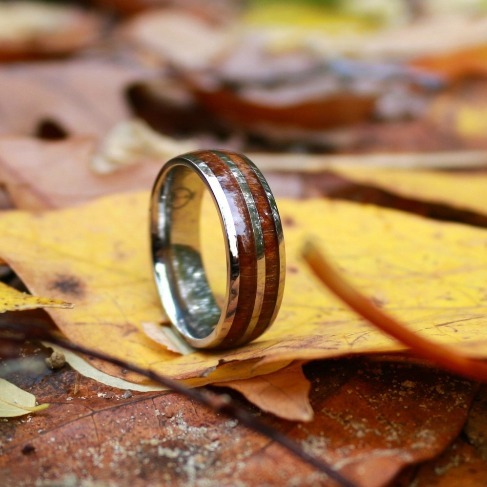 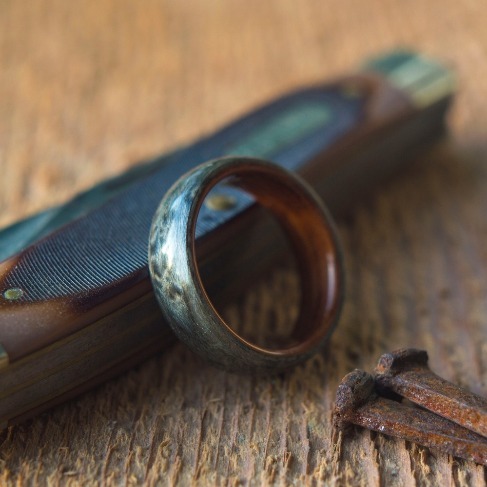 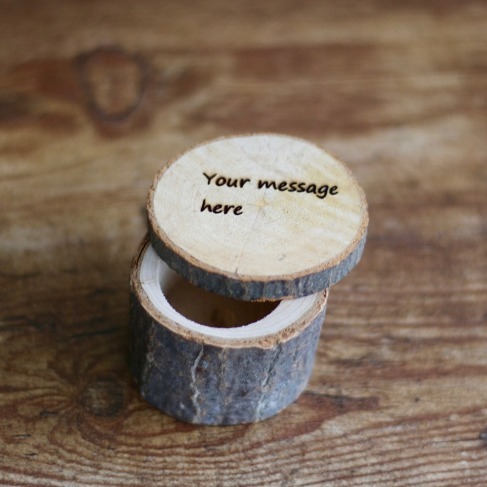 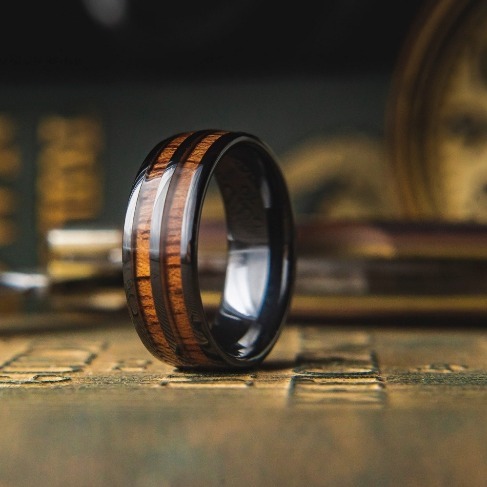 The Woodland and Urban Hybrid Ring. 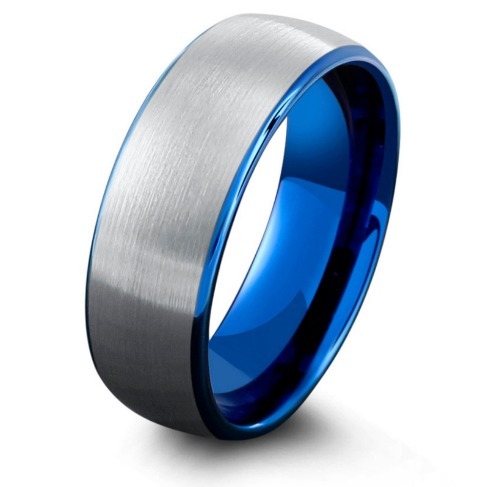 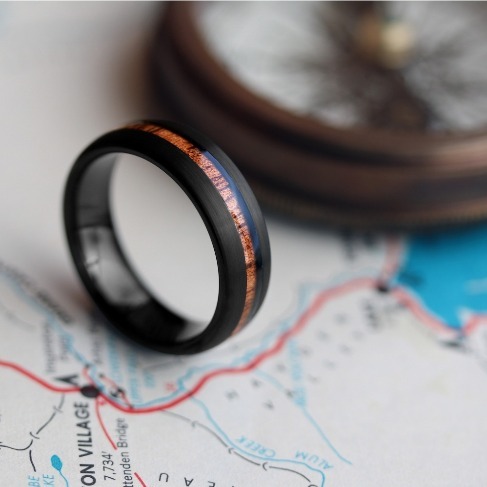 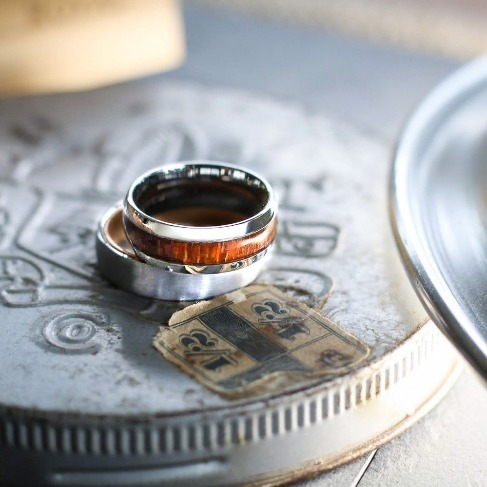 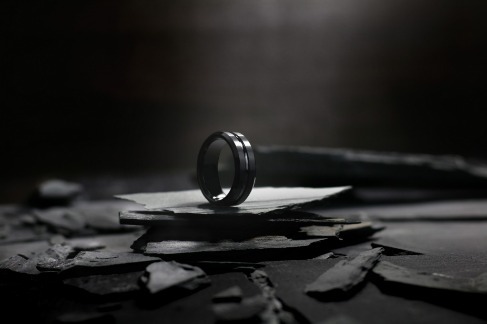 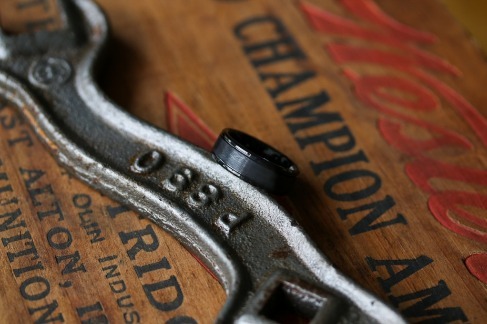 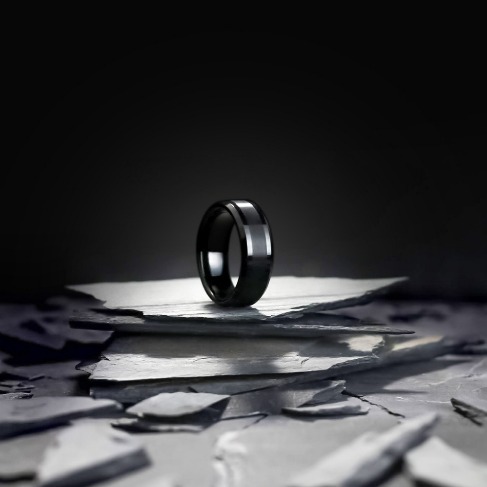 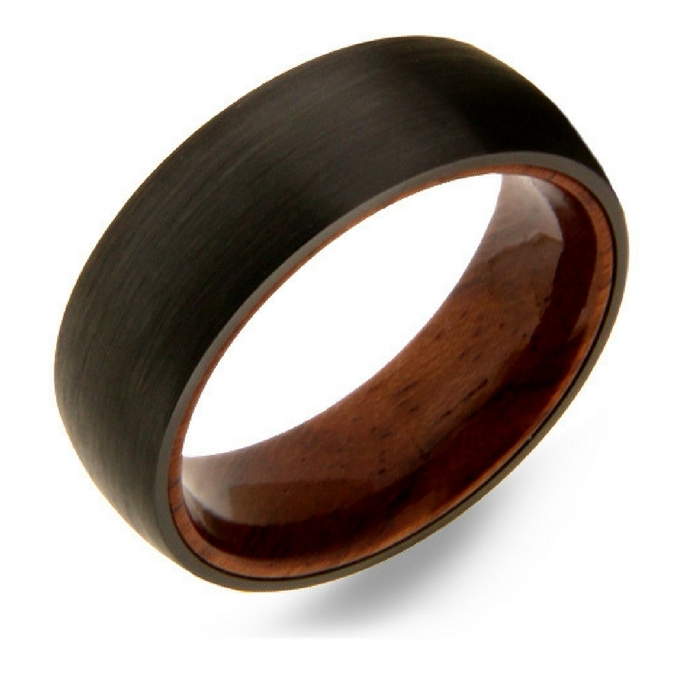 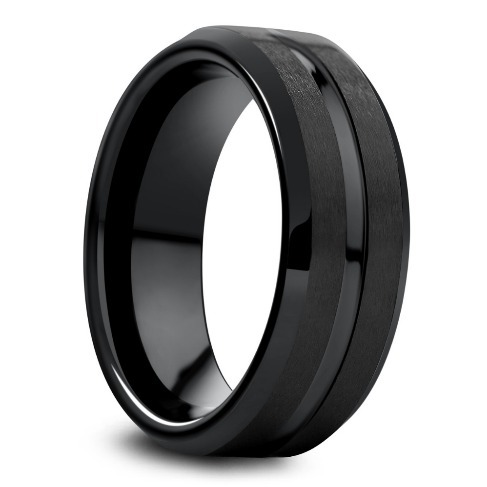 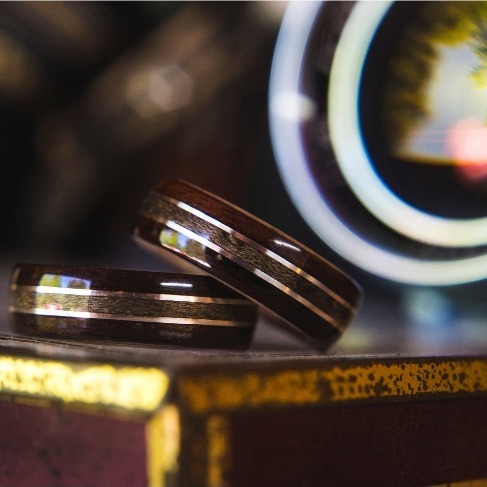 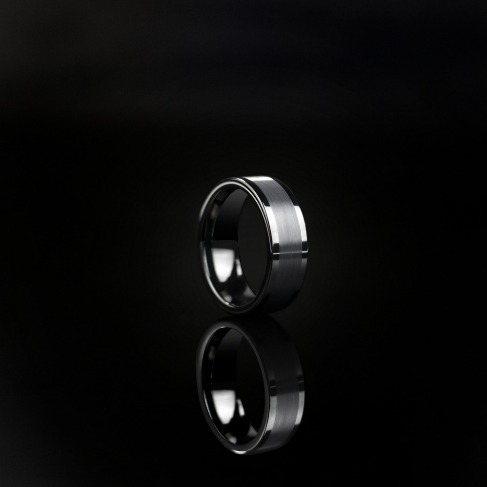 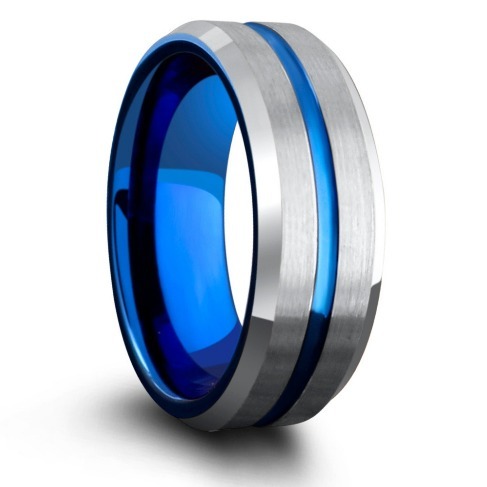 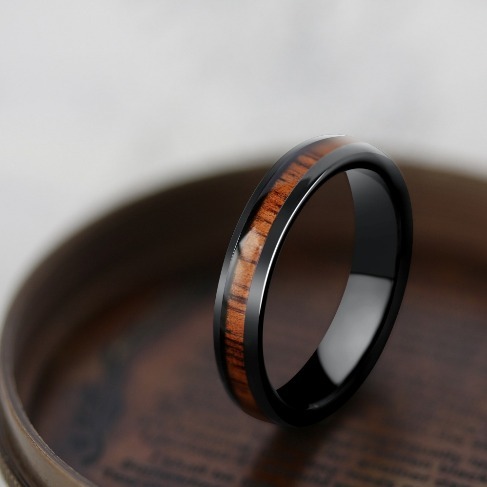 The exterior of the ring achieves an urban design by constructing the outer ring out of black tungsten carbide. 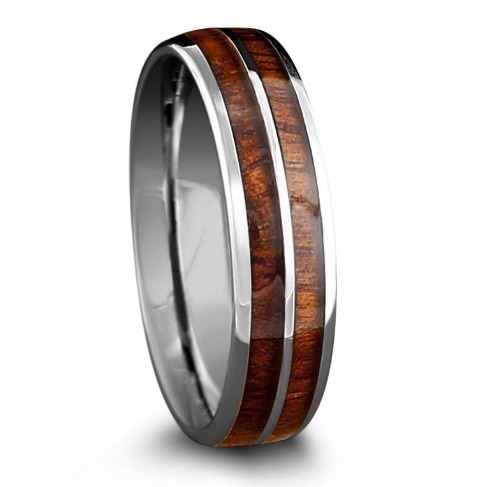 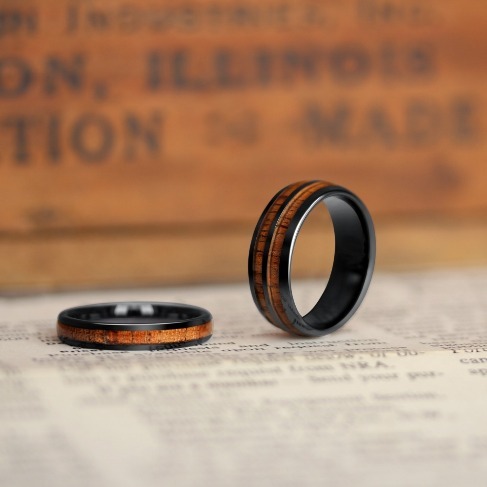 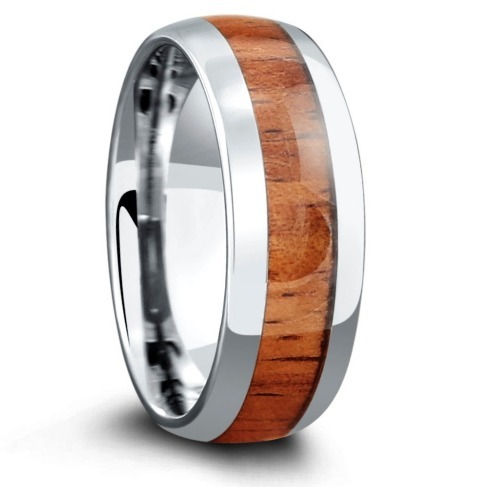 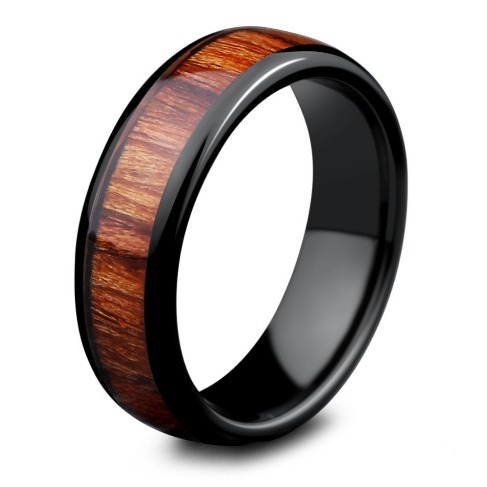 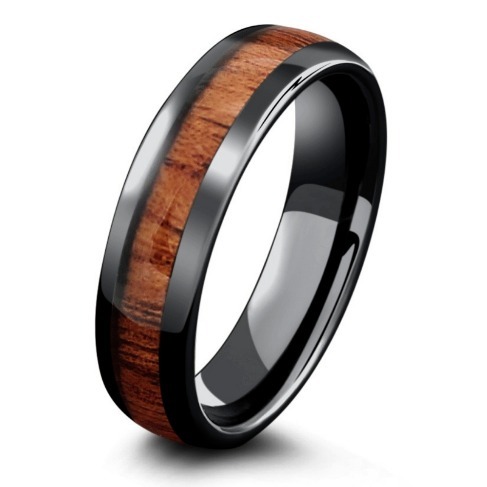 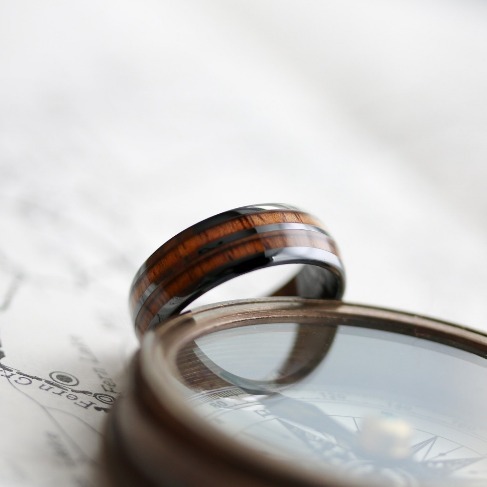 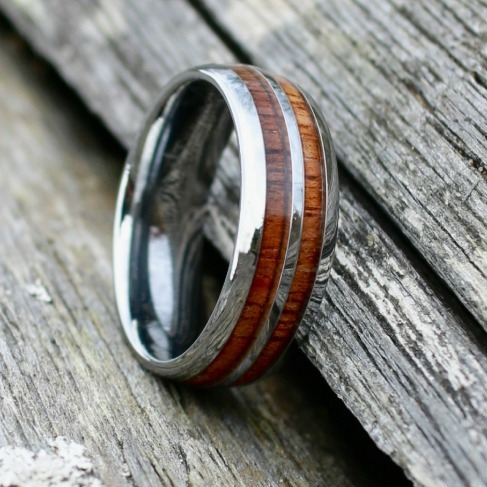 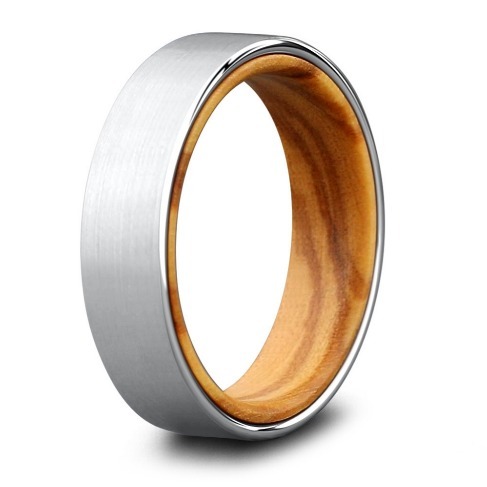 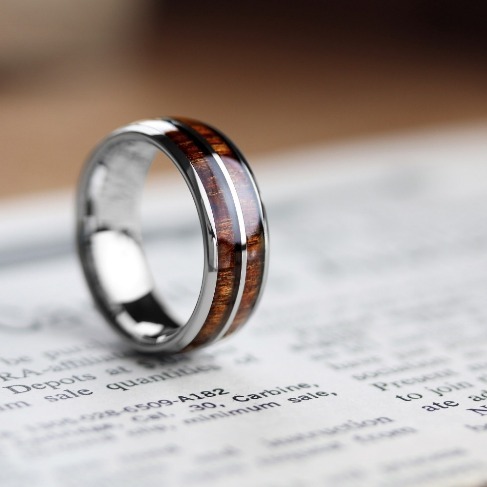 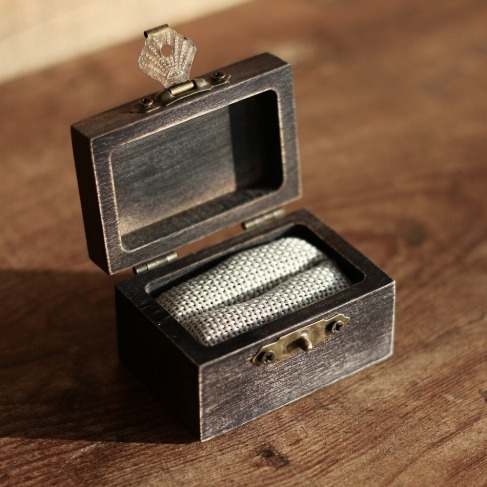 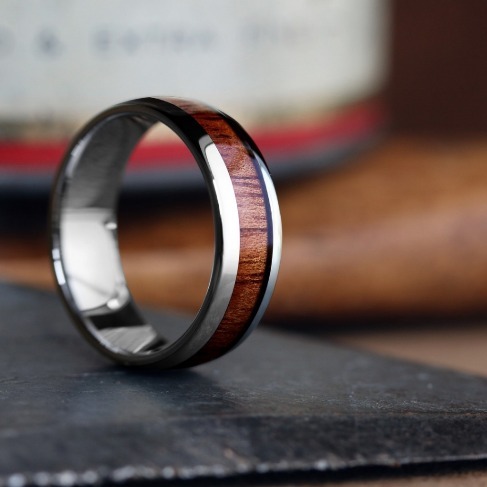 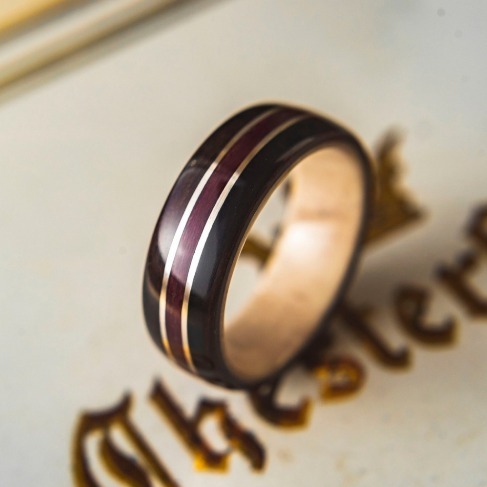 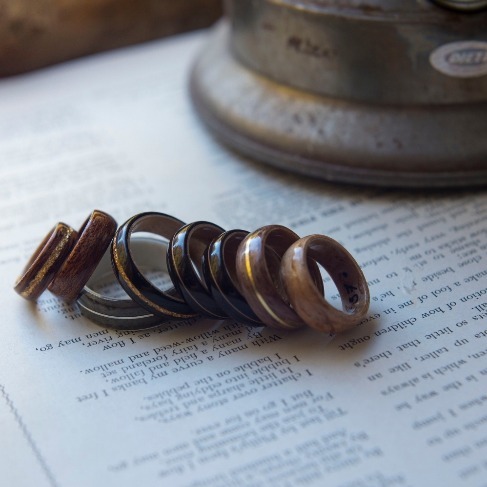 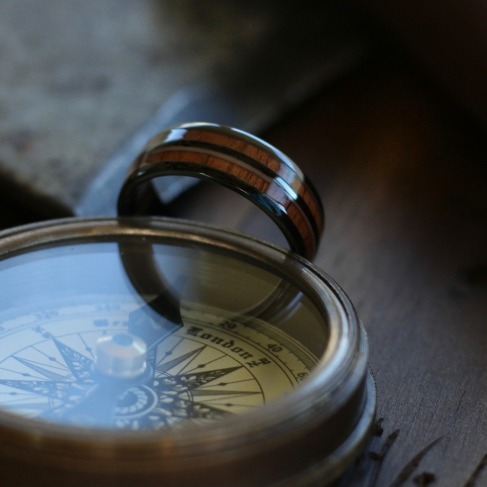 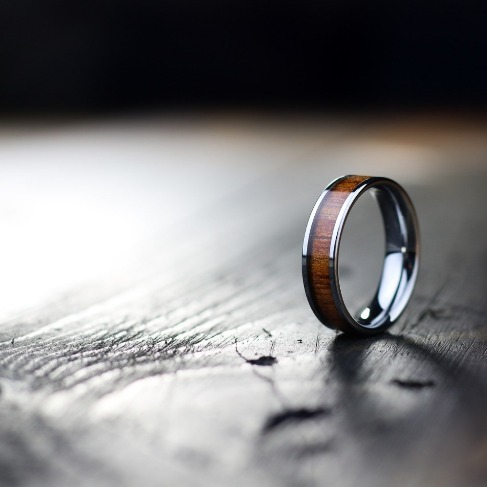 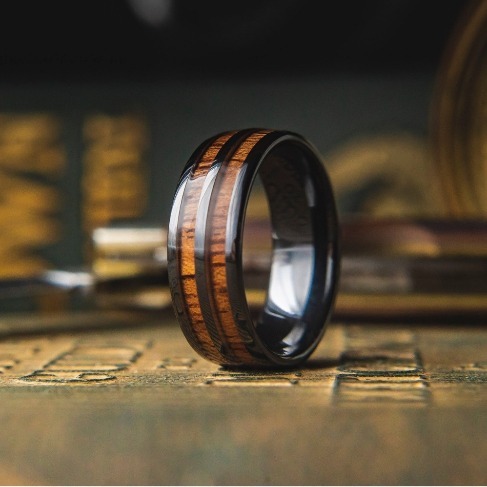 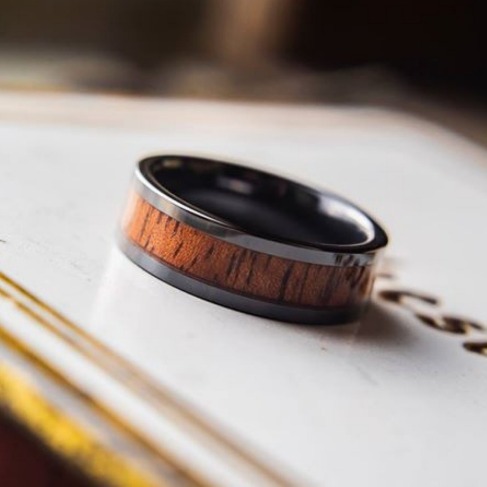 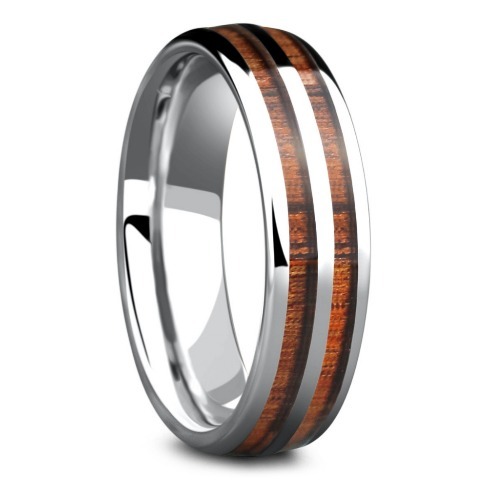 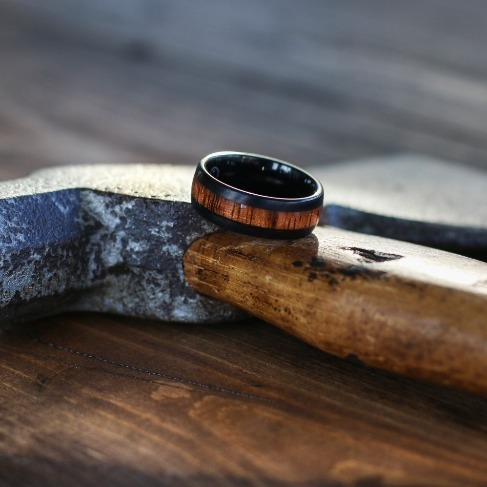 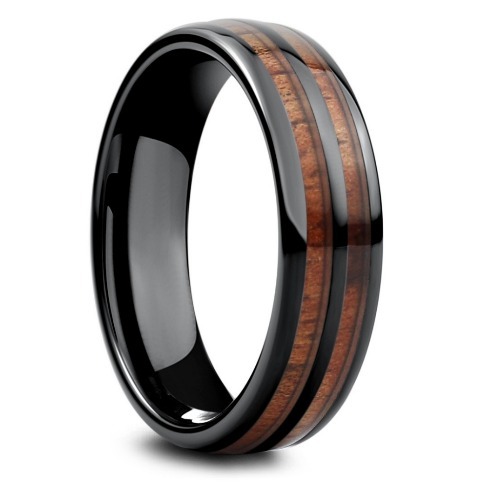 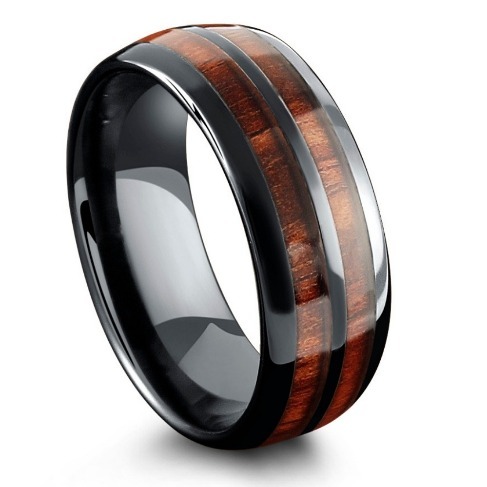 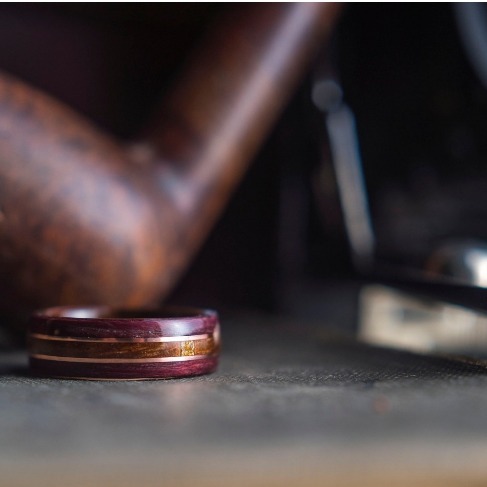 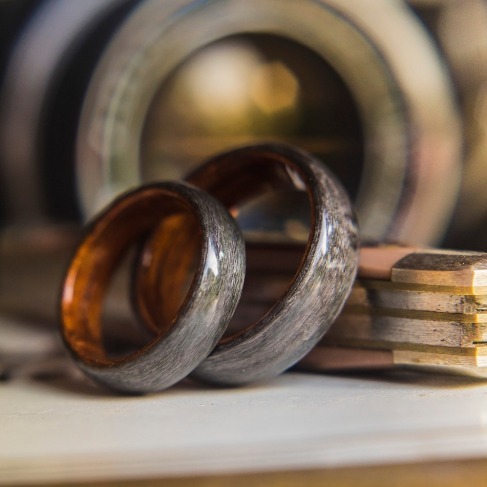 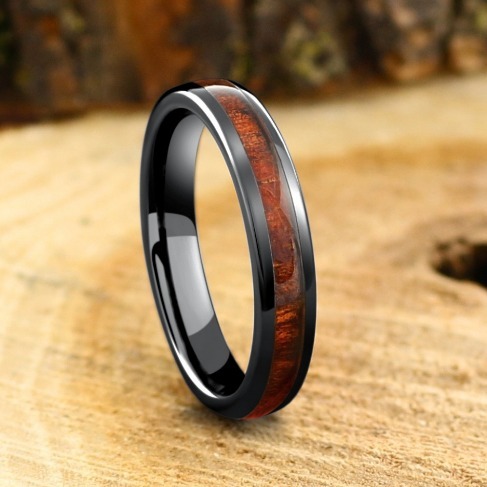 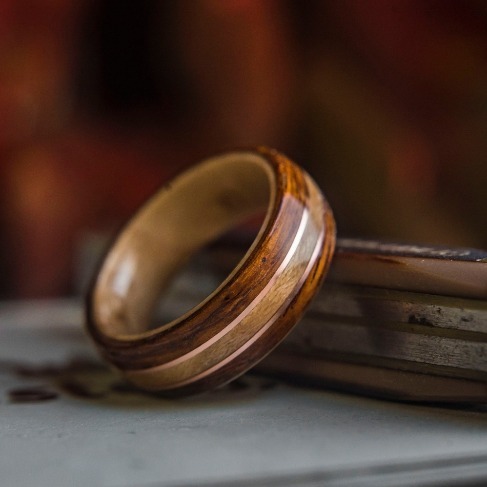 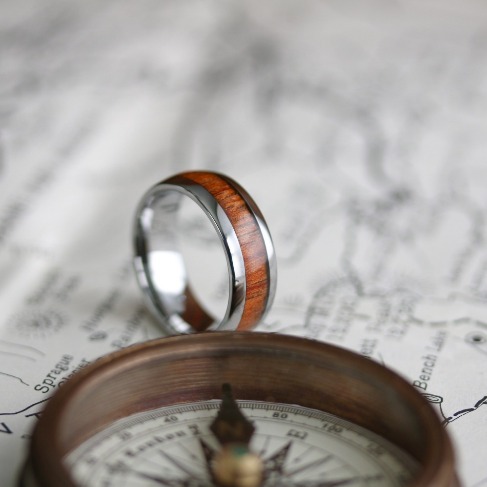 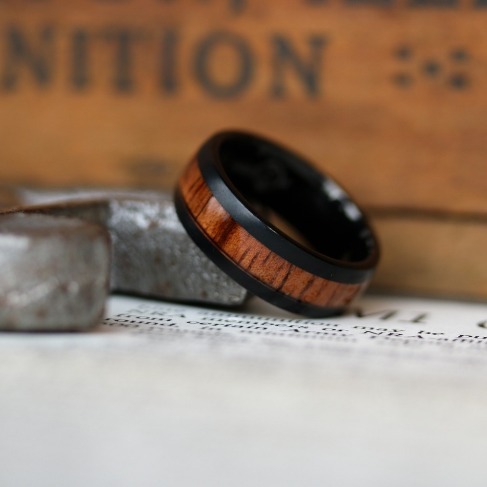 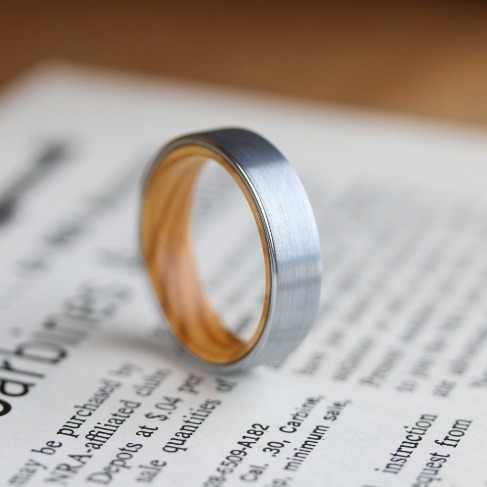 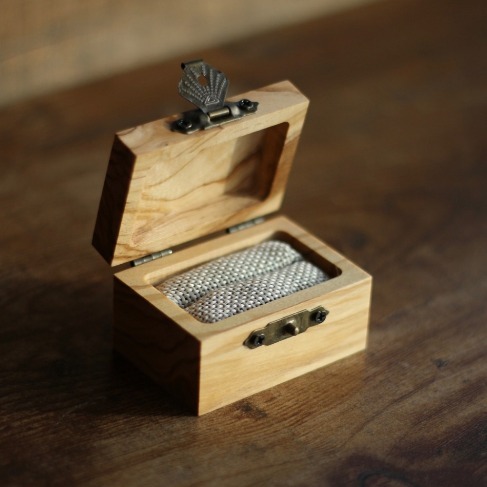 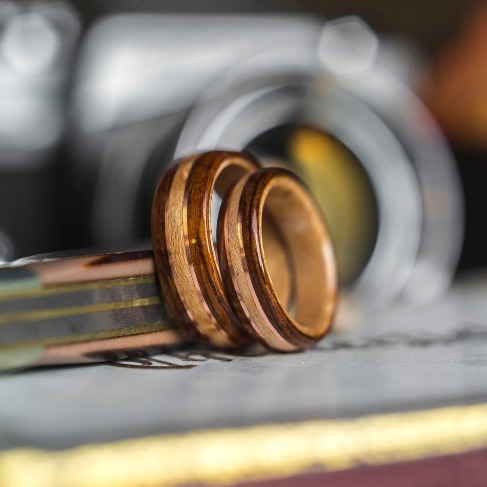 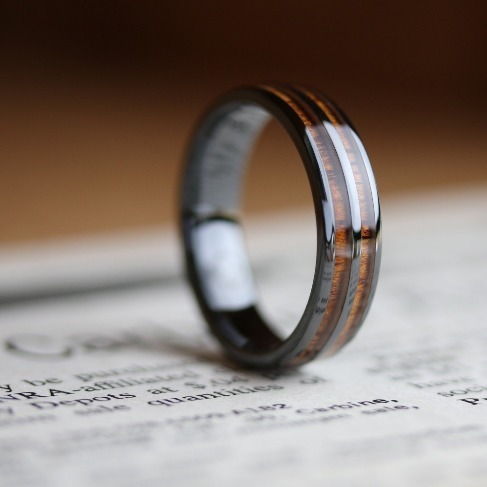 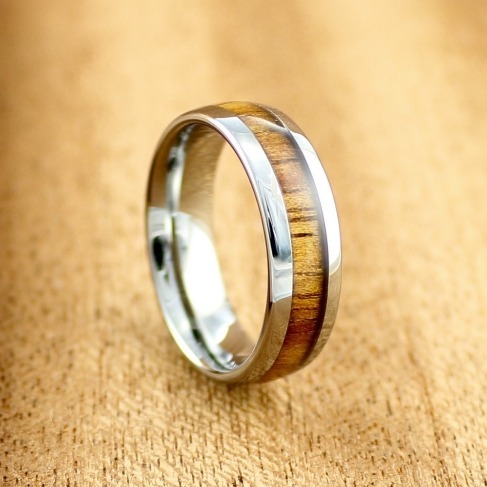 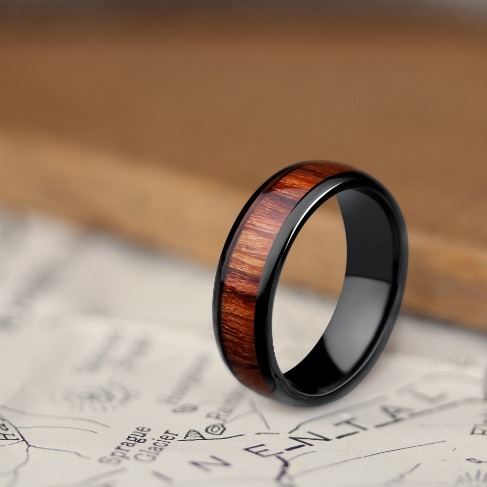 Next, the interior of the ring is crafted out of koa wood.